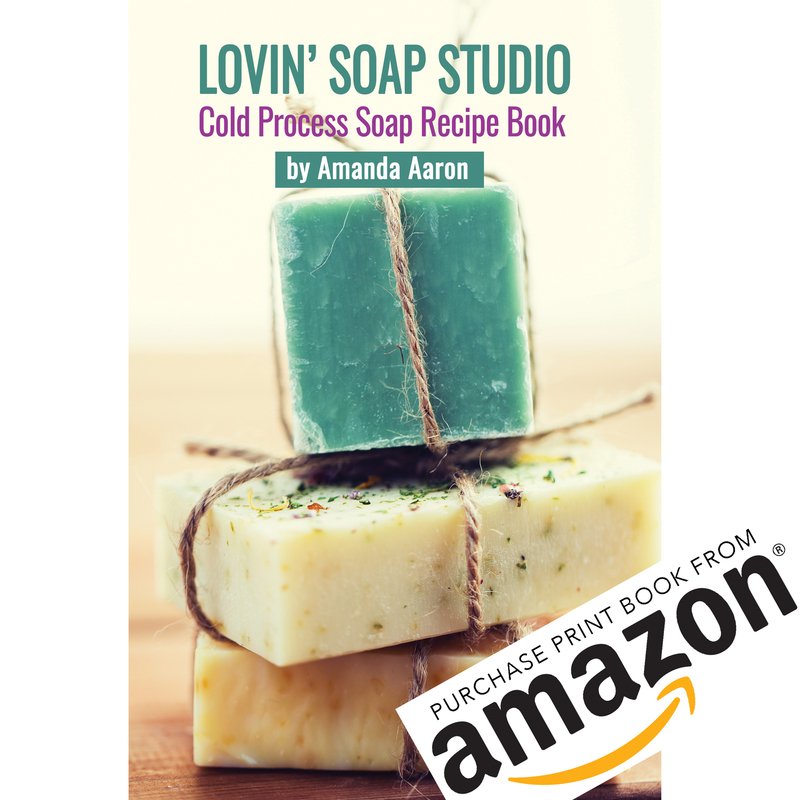 This recipe book contains 50 recipes for cold process soap and 64 essential oil blends. 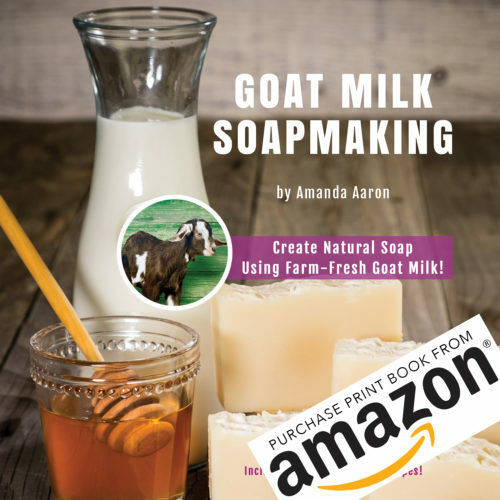 Recipes include classics such as Oatmeal Lavender, Oatmeal Milk & Honey, Aloe & Cucumber and Pumpkin Spice. Some recipes are more unique, including Summit Soap, Yarrow Shave Soap, Pumpkin Lavender, Almond Orange and Mocha Mint. 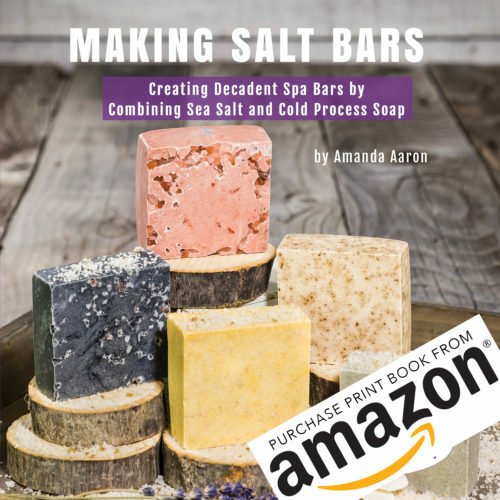 The recipes are categorized into seven categories including Basic Bars, Designed Recipes, Salt Bars, Bar Soap for the Face, Exfoliating Bars, For the Fellas and Alternative Liquids. 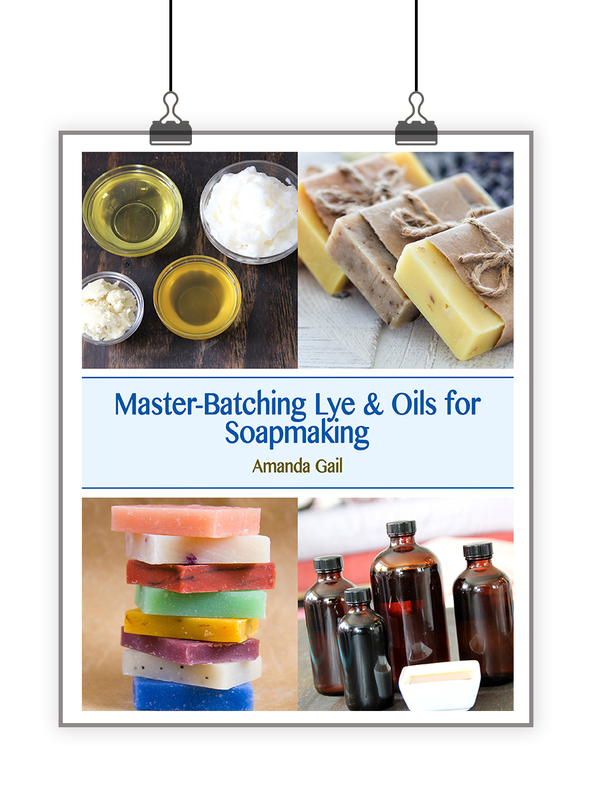 Each recipe, except for those in the Basic Bars category, includes an essential oil blend and some contain additives for color or exfoliation. 20 more essential oil blends are listed at the end, giving you 64 blends total! 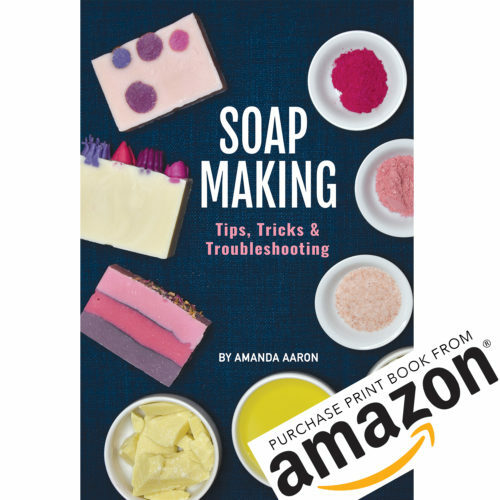 Though it does contain basic steps, it is not an advanced soapmaking book and doesn’t go into details on advanced soapmaking topics. 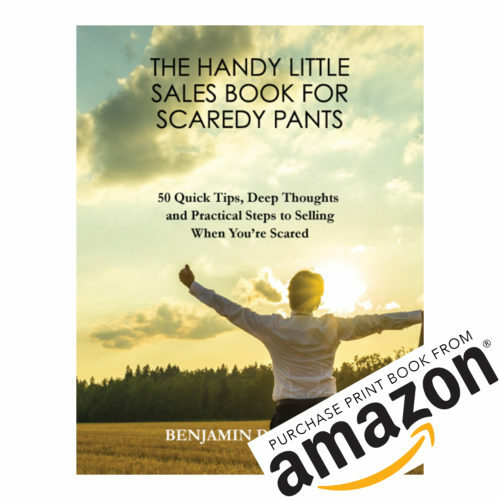 The recipes and essential oil blends in this book are provided to inspire creative formulation on your part. Sure you can use a recipe as-is, but don’t be afraid to experiment and change things up!